Fall has officially arrived - cool, crisp and crunchy - woohoo! Such a beautiful time of year. I hope you are feeling inspired! 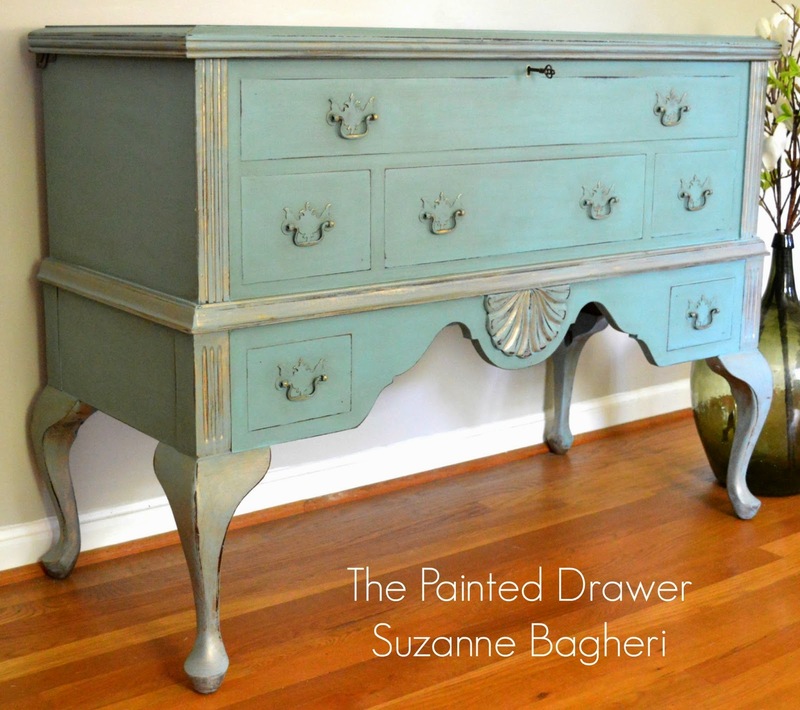 Suzanne from The Painted Drawer used gold highlights to make this French Blanket Chest really sing! 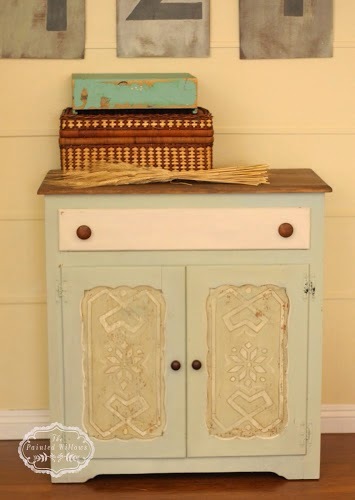 This beautiful hand painted cabinet from Danielle of The Painted Willows was inspired by the movie Frozen! Robin from Happy At Home shared a great tutorial for her beautiful headboard! Check out this Flora and Fauna Desk from Victoria's Vintage Designs - so pretty and unique! 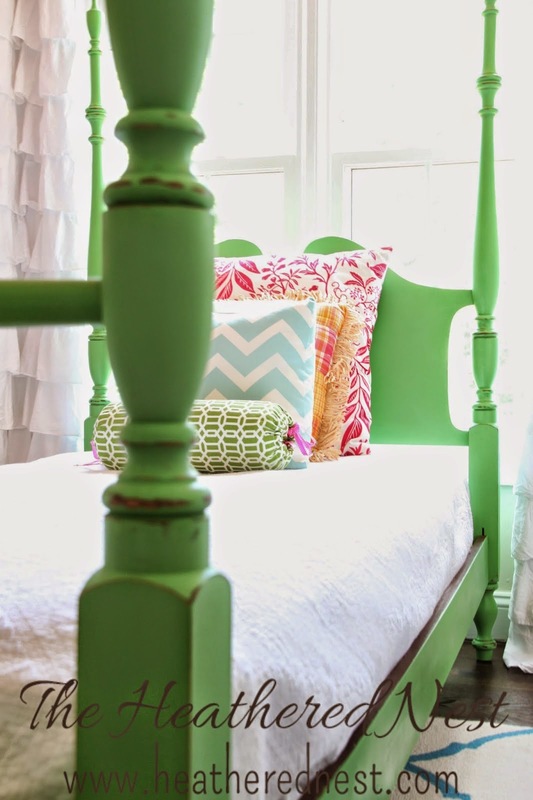 This beautiful green bed from The Heathered Nest looks fabulous staged for a girl or a boy! 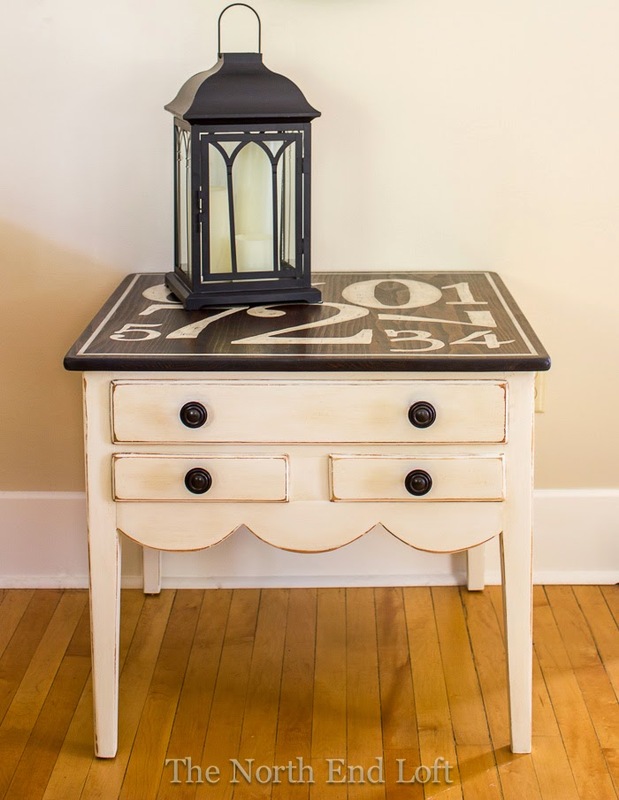 I love this sweet cottage end table with a bold graphic design from Laurel at The North End Loft! 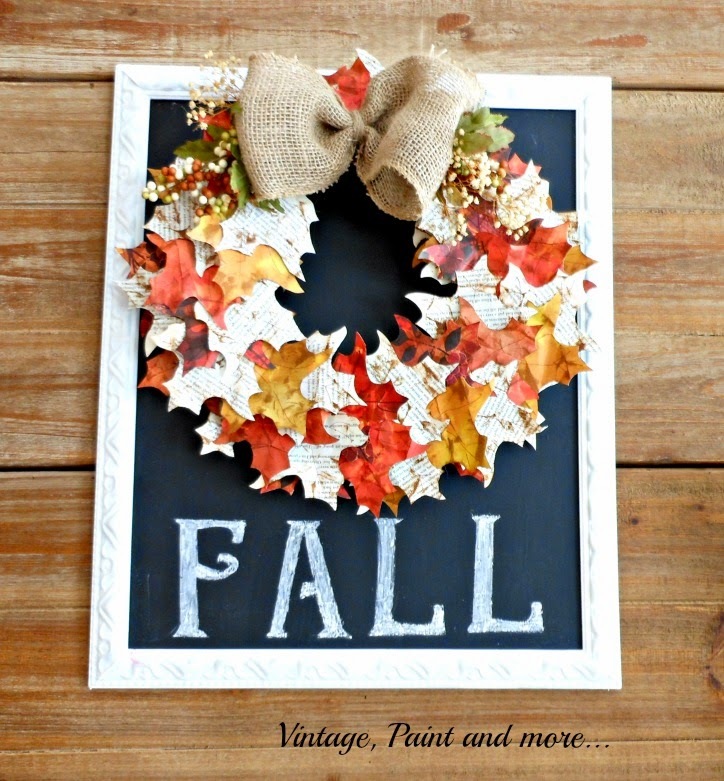 Ready to welcome fall, this pretty paper leaf wreath is from Cathy at Vintage, Paint and More! These mason jar succulents from I'm A Yarner are just so cute! And how pretty is this fall flower box centerpiece from Lovely Livings Blog! Beautiful features! Thank you so much for hosting. I just love this week's features. 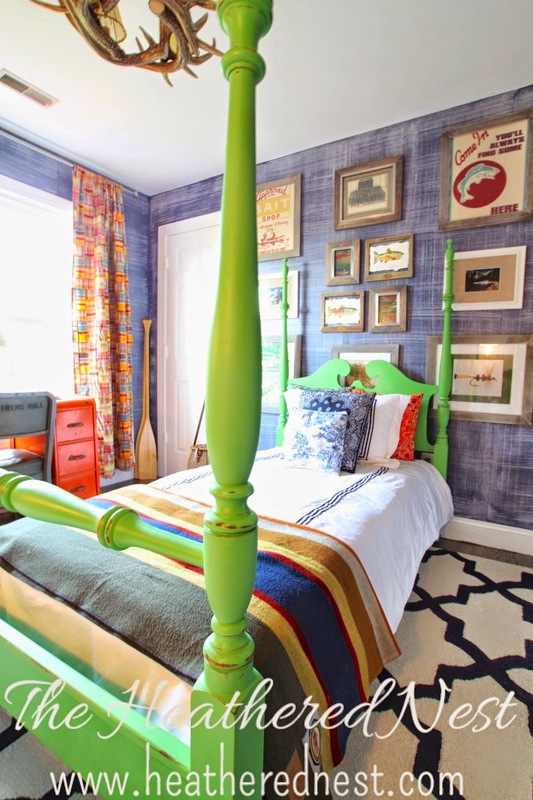 In particular, that great headboard - what a fantastic idea! Thanks for the feature and thanks for hosting! The flora and fauna desk is so unusual and sweet. Pinning to remember. Hope your enjoying a little time in your garden with this lovely early fall weather. Happy Fall, Sharon!! Some great features this week, I especially love that blanket chest. i love that headboard and those succulents. yay for greens. thanks for hosting, and happy fall! Thanks for the party and great features!! Wow! Your features are incredible! So many beautiful pieces . 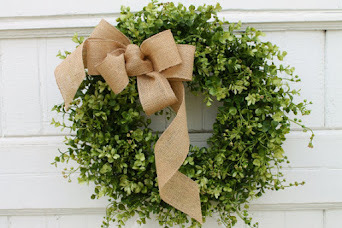 . . and I LOVE that wreath. so many great features! love those succulents in the jars, and the bed from heathered nest! Loving the mason jars and all of the awesome features this week. Thanks for hosting! 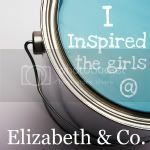 I'm so honored to have my painted furniture featured on this blog party. Thank you, Sharon! Thank you so much for featuring my Frozen Inspired Cabinet! You made my day! beautiful features Sharon! I'm sooo not ready for Fall. These features are awesome! Thanks for hosting. Thanks for the feature today! You have made my day. 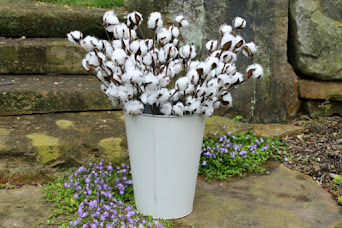 Thank you Sharon for the wonderful feature on my Fall Flower Box! It's so exciting to be selected! I'm very grateful! Many thanks too for hosting your fun parties! Hi Sharon, thank you for Be Inspired No. 135. Always a pleasure to join in and see what other bloggers are sharing. 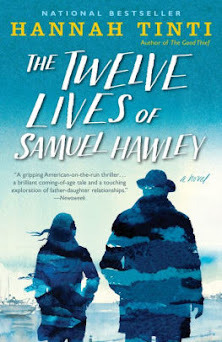 Such talent in the blogosphere; gorgeous features! Thanks for hosting, Sharon, and have a wonderful week! Thank you for hosting Sharon you really picked some great ideas to feature! What beautiful features! Thanks for hosting!